Hello! I'm back with another card that I made with this month's Taylored Expressions Stamp of the Month stamp set called Made With Love! 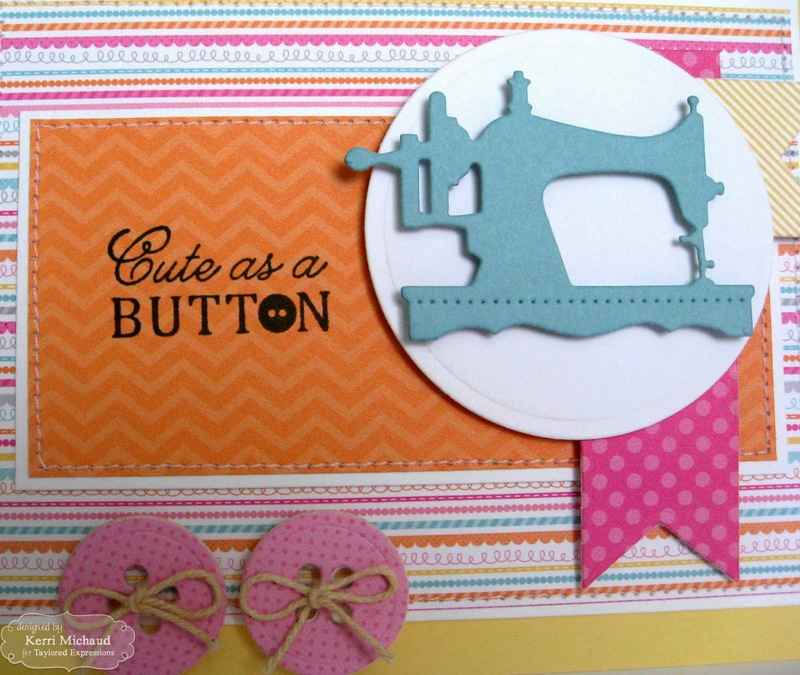 I also used the coordinating die set called Stitched With Love! 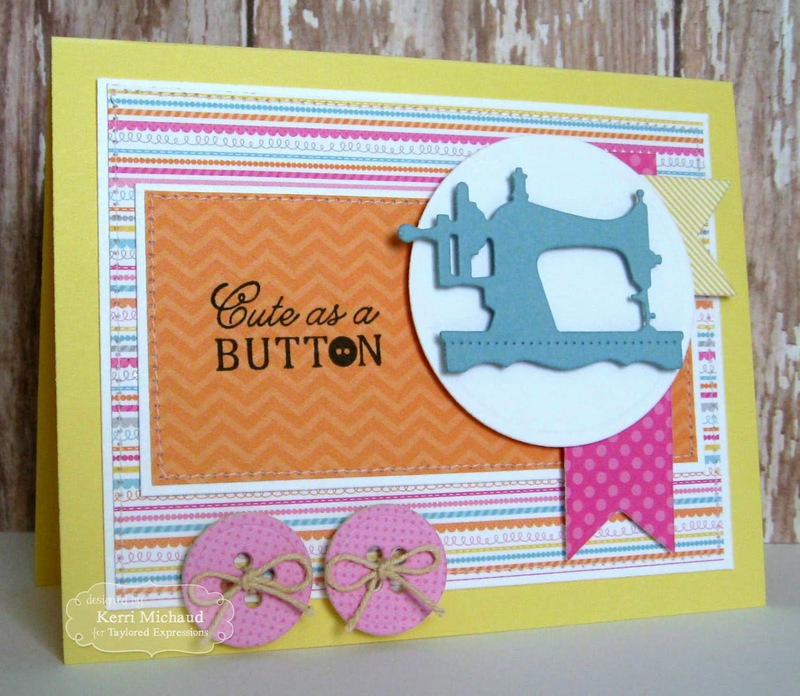 I am having so much fun with this stamp and die set! For my card today I used the Deconstructed Sketch #146 (LOVE Jen's sketches!!!) along with some Doodlebug Sugar Shop dp. I cut the fishtails with a Banner Stacklets 1 Die and cut the buttons out of some chipboard and then some dp which I adhered to the top. The sentiment was stamped with Memento Tuxedo Black Ink. That's it for me! We are going to paint our bedroom today (again!) I just got some new bedding which of course calls for new colors:) My hubby is thrilled LOL! Thanks for stopping by and have a wonderful Easter weekend!